Every dollar we receive from donors goes directly to Maine youths participating in the 4-H program. The foresight of the Maine 4-H Foundation founders enables us to use interest income to cover operational costs. Therefore, when you generously give to our Annual Fund through this website (or any other means), you can be confident your gift has a direct impact on the young people of Maine. Our Annual Fund supports the activities of the 4-H program during a single calendar year. To make a gift to the Annual Fund, donate online or contact Angela Martin. Sponsorships are available to corporations, organizations, and individuals who would like to make a gift towards supporting a particular event or activity. Depending on the event, the foundation typically offers varying levels of advertisement of a sponsorship based on the level of giving. 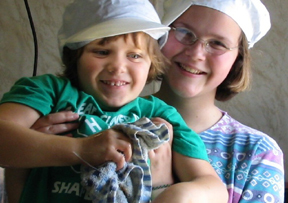 An Endowed Gift allows a person, organization, or corporation to have a very lasting impact on the Maine 4-H Program. A donation deemed an endowed gift is invested and produces a spendable interest income for the foundation to use in support of the 4-H program in Maine. If the principle amount is never used, the gift will give forever. The foundation typically receives this type of gift as a named scholarship, which is given each year to a graduating 4-H member going on to higher education. However, the possibilities for a gift of this kind are virtually endless. We are very grateful for the support of our many donors. If you are interested in making a gift described above, or would simply like more information, please contact Angela Martin.